With the end of the fall anime I know some of you want to know what is good to watch! I can tell you for certain that this season was sprinkled with so many delightful series that it will be hard to just narrow it down to 5. But without further ado lets get started with my one honourable mention. Shirobako is the fall-winter series that PA-works has decided to work on. It’s anime about making anime’s. It is an original anime with no previous adaptations from manga or visual novels. Surprisingly redeeming from the work that they did in the summer (Glasslip). This work in contrast is just really interesting to watch. From drawing, to voice actors, to episode directors we follow the life of five girls (however only really one) in the anime industry and the struggles that come with it. It’s not really an intense show and its a good one to watch when you are feeling laid back and not really a lot of excitement. Tsukimonogatari (The moon story) is another addition of SHAFT’s monogatari series that aired in full on Dec 31 (RIGGGGHT on the end of the fall season). If you like the monogatari-series this is a no-brainer choice for you as it will dive again right back in the world of araragi-senpai. This story I believe takes place before Hanamonogatari which was released in the summer. In particular I thought this was a very average monogatari story but for fans I’m sure the story was amazing. Personally I miss watching senjougahara but due to the nature of the Monogatari series I wasn’t expecting to see her a lot anyways. Without dealing out too many spoilers this arc deals a lot about Araragi and Yotsugi. The main reason why I watched tsukimonogatari is because of how I am such fanboy for Claris. Their new single border was the ED song for this anime and it was amazing. 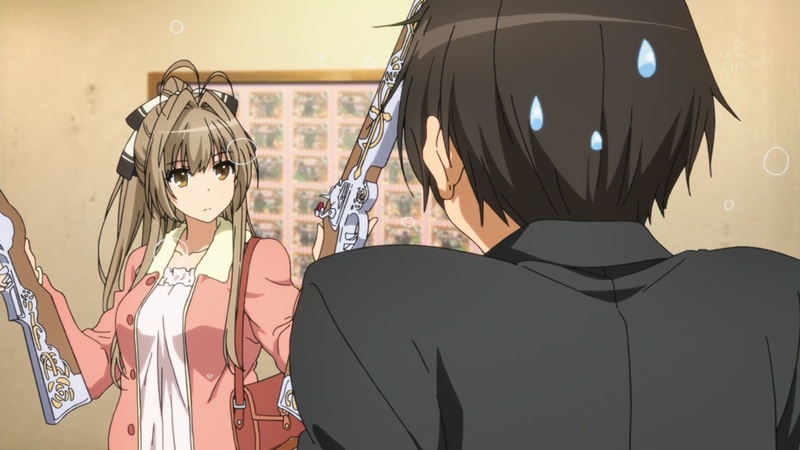 Amagi Brilliant Park or Amiburi is the KyoAni work of the season and it is a very good one. It is a 13 – episode spread that really feels like a 12 episode spread and an OVA. This work is basically about our main character Kanie trying to save the horrendously built park that we know as Amagi. This show is related to basically every kind of work that Kyoto Animations does. 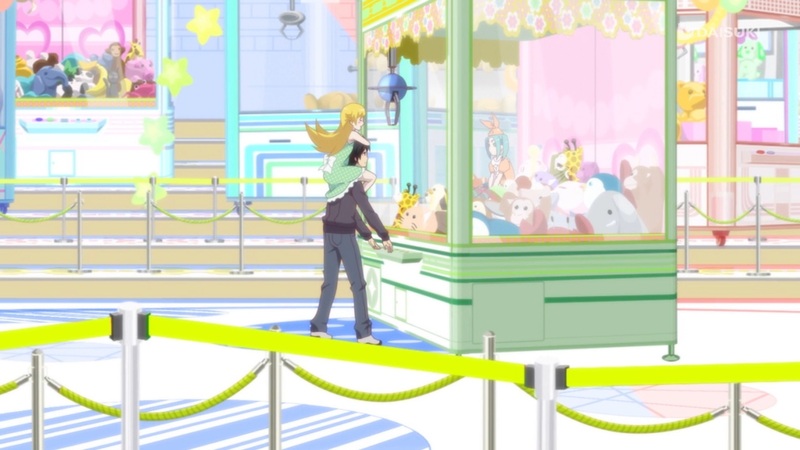 Free!, Tamako Market, K-on, It really has that kind of slice of life feel. The art is the same typical Kyoto Animations art and the main character looks like he was taken straight out of Free! and Hyouka. This is solid choice to pick up if you are searching for a good comical slice of life. Parasyte or 規制樹 is a work done by Madhouse. 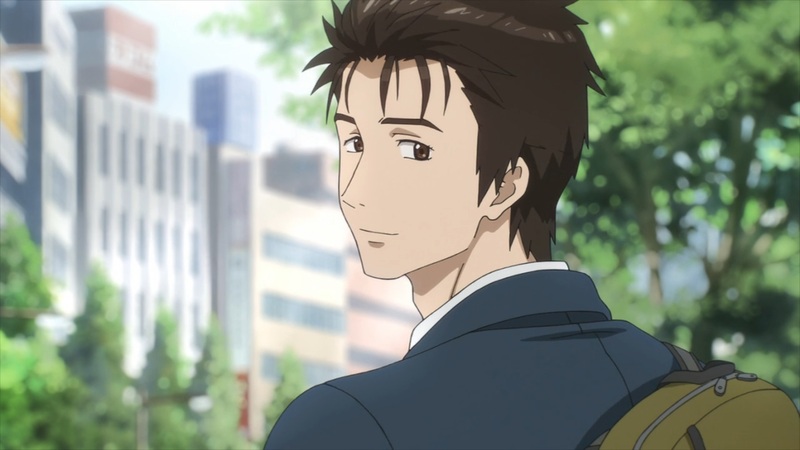 Similar to Tokyo Ghoul, the MC shares a symbiotic relationship with an organism that we call parasytes. Now, the show itself has a lot of action, a lot of drama and it’s filled with mystery as to what the objective of the parasytes are. The biggest objective is that the Parasytes want to take over humans bodies. Our MC, Izumi is a lucky person, since his parasyte failed the objective and could only take over his hand. Nicknamed Migi(“Right” in English) the two of them work together in our story and tackle on all sorts of problems caused by the Parasytes. The story itself is very interesting and has kept me wanting the next episode for weeks. If you haven’t already started watching this show, it is a very easy pick-up. The sequel to Psychopass created by Production I.G. 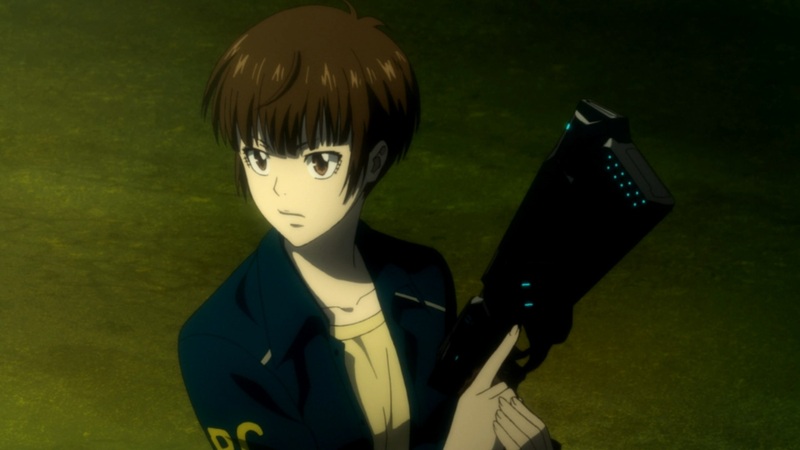 Now if you’ve seen the first Psycho-pass perhaps you should think about picking up the second. There are a couple things that people did not like about the show, one, is that it had nothing to do with our previous heroine Kougami, and two, The conclusion to the series was a little awkward for some people. I personally thought this show was amazing. The amount of tension and drama that occurred in the show was enough to draw me into it. There is a couple years space in between the first and the second season so you might be surprised at a couple of the changes made between the characters. For one, our MC Akane Tsunemori, has a more cold-hearted, confident, unwavering heart. I feel her head is stronger and her heart more secured in this season compared to the last, and a lot of that has to do with the experience she has gained in the field. If you don’t think watching the second season will ruin your conception of Psycho-Pass I would definitely give it a go because it has a wonderful story. 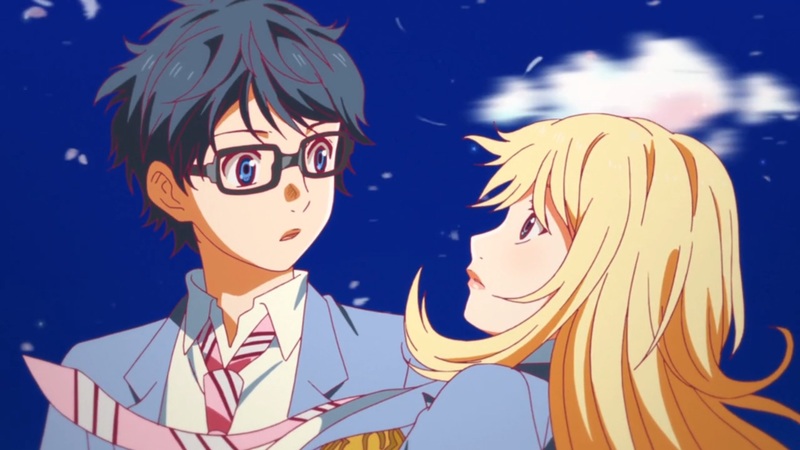 Shigatsu ha kimi no uso or Your lie in April is the creation of A-1 Pictures. This music and dramatic slice of life will blow you away and you must pick this anime up. This anime is filled with dramatic moments, romance, and tonnes of classical music. You are going to instantly fall in love the characters. Arima Kousei our male protagonist is a piano player who’s life is colourless, monotone, and greyscaled. On a fateful day in April he meets the girl who fills his world with colour. Our female protagonist, Kaori Miyazono, a violin player who plays her music with emotion and life. The two of them enter competitions and tackle on life struggles. This anime sits at my number one for the season… This has the potential to sit at the number one spot of my whole anime list. There is so much drama, so much emotion in this anime that you will not be able to stop watching it. You don’t need to know classical music but it would be a plus if you like it. If you are looking for a heart-wrencher, Look no more because I think this might even top Clannad After Story(King of sadness).